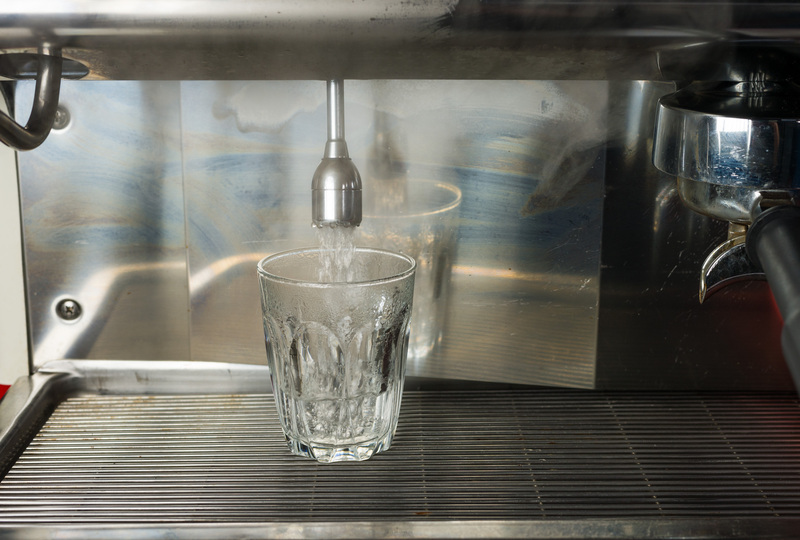 Fill the cup about 1/3 with hot water and let it heat while you prepare your grind. For someone who orders extra hot coffee, fill the cup with more water. Main rule here is: Heat the cup, don’t burn the milk! 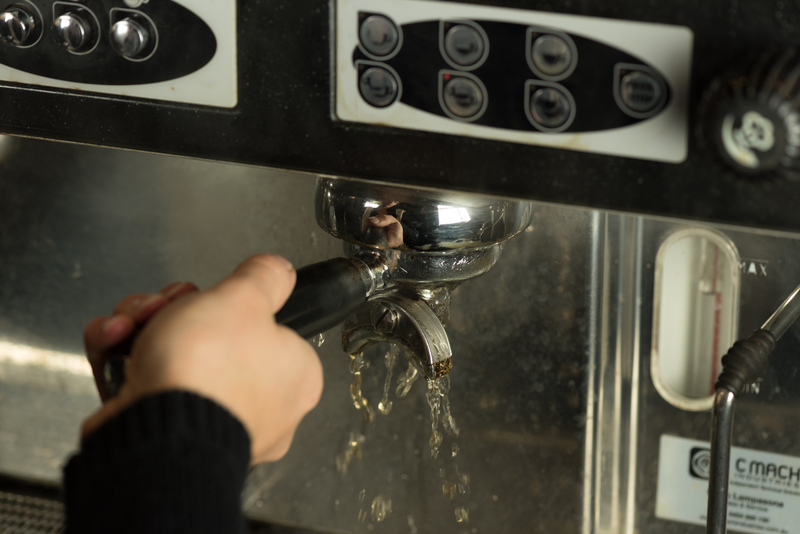 Washing out your group handle before every shot guarantees you have the right water temperature for your extraction. 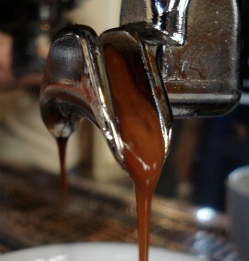 Additionally you avoid taste notes of old coffee in your drink. 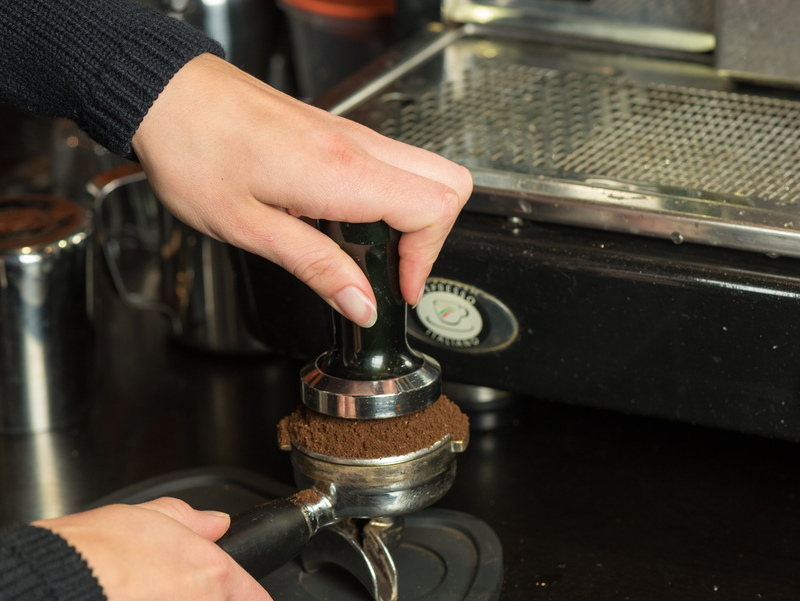 Grind and dose your coffee on demand to ensure the best result. Give it a first light temp so that all grind goes into the basket. Give it a second, slightly stronger temp to form the right density. Try to create an even surface, which will help you to get most flavour out of your grind. 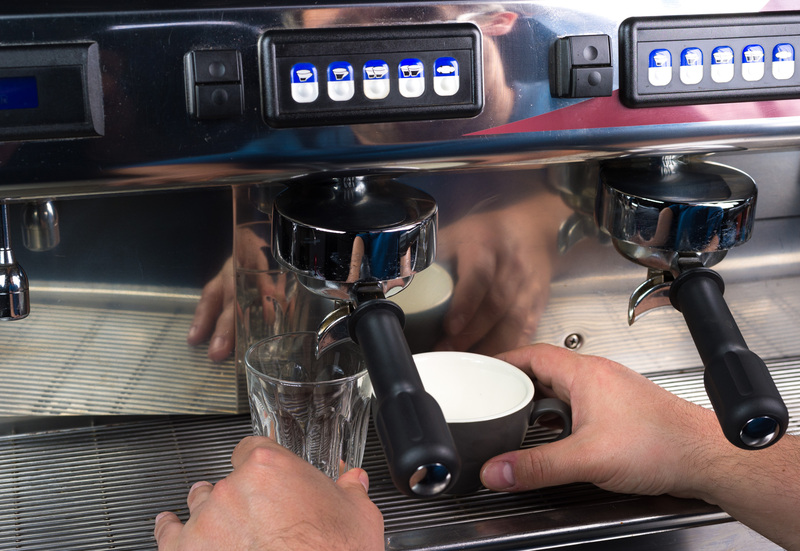 In one go: remove water from your cups, place group handle into group head and produce your espresso shot. How does the coffee run? Too quick: shot won’t have the full body! Too slow: coffee will burn and taste bitter. Coffee comes out on only one side of the spout: Grind wasn’t temped evenly.